Tomorrow is April Fool's Day, but every day is a day to be a fool for books! For This hop I am giving away a $10 Amazon Gift Card. 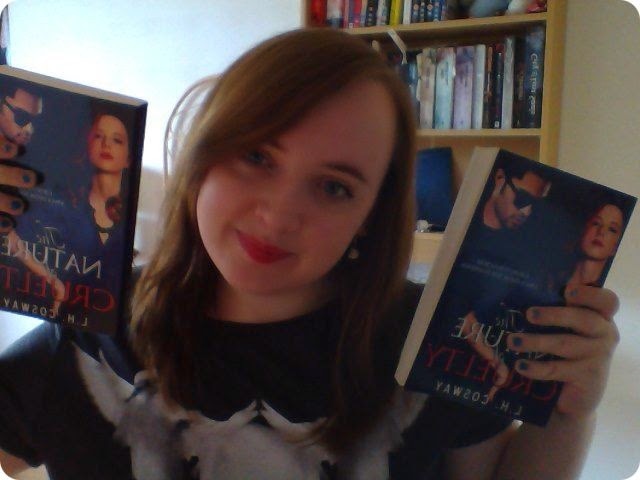 You choose which book you want, and all you have to do is fill out the rafflecopter below!! 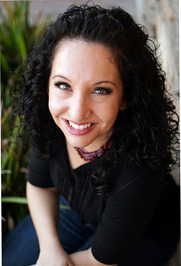 Evelyn Barrett has a new job, a new baby, and a new life-of sorts. Nearly crushed by the horrific abduction and murder of her daughter (book 1, Unholy Hunger), Evelyn is moving on as best she can. NOTE:!!!! 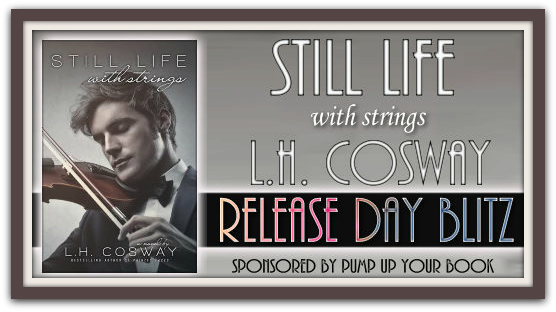 Today you can get this book free!! Once again Evelyn is encountering evil. If you read the first book in this series, you know the heartbreaking parts of her life. Now when life looks like it is smiling on her, evil reappears. We being this book with a very pregnant Evy. Owen is on his way, a new start, and a glimpse at happiness again. We are considering a new job and leaving Fresno, heading to San Diego. Away from, the evil that consumed Evy and Eddie. Of course, evil is everywhere, and no one can be free of it. It touches our lives, and will again touch Evy. Come along and be ready for some grip your seat in fear, but also some very touching moments. Ms James, has done it again, I could not leave this book alone. It is a page turner. I do recommend that your read the first book in the Lure of the Serpent Series, Unholy Hunger. It will leave you in tears. This book does stand alone, and enough information given, to let you know what is going on. I received this book from Kregel Publishing, and was not required to give a positive review. There's no getting around it. Kids are curious and kids will be kids. But this can lead to putting themselves at risk for serious injury- not to mention costly healthcare expenses for Mom and Dad. After 15 years of practice, Dr. Jerald Altman is never amazed by what kids will put into their nose and ears. Through fun illustrations and clever rhyming schemes, Don't Stick Sticks Up Your Nose! 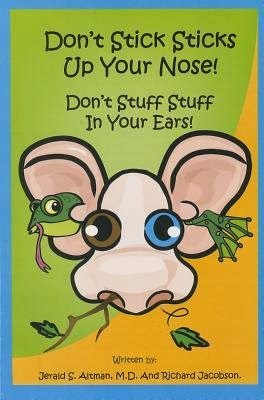 Don't Stuff Stuff In Your Ears! is the perfect way to teach kids not to put dangerous objects where they don't belong. He is married, has 3 children and lives in a suburb of Phoenix. He enjoys wood turning as a hobby and climbs Camelback Mountain regularly. While he enjoyed the experience of co-authoring his first children’s book with Richard Jacobson, he has no idea what a topiary or tables cape is! Richard Jacobson studied architecture at Yale University and has spent most of his adult life designing interiors, landscapes, tables capes, clothing… and just about anything else that can be fashioned in a creative way. He enjoys training dogs, birds and topiaries in his spare time. He lives in Phoenix, Arizona but since he travels extensively to play in duplicate bridge tournaments, he climbs considerably fewer mountains than his co-author. Don’t Stick Sticks Up Your Nose, Don’t Stuff Stuff In Your Ears, is really a delightful help book for parents of toddlers. The pictures are enticing for youngsters, and the rhyming words draw their attention. We all know how little ones like to put things, where they don’t belong. A help book for pointing out to little curious ones that it is not ok. They can chew on the cardboard book as you read along, and eye-popping drawings show what can go wrong. For parents now there is a book that might help with that frustration and rushed visits to the doctor or emergency room. The book is co-authored by a physician, and I’ll bet he has surely run into these problems. When I shared this with our six year old, he was delighted with the rhyming and the pictures of what these kids do with stuff. He would never have done any of this, oh no, not him. Then I remind him of things. Oh No!! Guess he doesn’t, or chooses not, to remember. This is one cute, eye drawing, sturdy book, that you really should add to your child’s library. I received this book from New Shelves Distribution, and was not required to give a positive review. Pump Up Your Book is pleased to bring you Greg Messel’s Fog City Strangler virtual book tour February 3 – March 28! He and his wife Catherine, who met on spring break in 1988, were married in July, 1989. While living in Sacramento, he wrote his second novel that same year, though again, it wasn't published. He worked a variety of jobs over the next three years, including real estate appraisal, waiting tables, selling dental products by phone, and started his own small manufacturing business which struggled from the beginning. In 1990, he collaborated on a book with Billy Mills, the Olympic Gold Medalist and it was published by Feather Publishing before later being picked up by Random House. (It was recently re-issued by Hay House Books.) Though it received scant publicity, sales topped 50,000 copies in the first year of release. He began selling pharmaceuticals and moved from Sacramento, California to North Carolina in 1992. In 1994, at the age of 28, he wrote The Notebook over a period of six months. In October, 1995, rights to The Notebook were sold to Warner Books. It was published in October, 1996, and he followed that with Message in a Bottle (1998), A Walk to Remember (1999), The Rescue (2000), A Bend in the Road (2001), and Nights in Rodanthe (2002), The Guardian (2003), The Wedding (2003), Three Weeks with my Brother (2004), True Believer (2005) and At First Sight (2005) all with Warner Books. All were domestic and international best sellers and were translated into more than 35 languages. The movie version of Message in a Bottle was released in 1999, A Walk to Remember was released in 2002, and The Notebook was released in 2004. 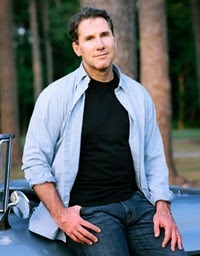 The average domestic box office gross per film was $56 million -- with another $100 million in DVD sales -- making the novels by Nicholas Sparks one of the most successful franchises in Hollywood. The film rights to Nights in Rodanthe, True Believer and At First Sight have been sold, and Nicholas Sparks has written the screenplay for The Guardian, though he has not offered it for sale at this point. He now has five children: Miles, Ryan, Landon, Lexie, and Savannah. He lives in North Carolina with his wife and children. His ancestry is German, Czech, English, and Irish, he's 5'10" and weighs 180 lbs. He is an avid athlete who runs daily, lifts weights regularly, and competes in Tae Kwon Do. He attends church regularly and reads approximately 125 books a year. He contributes to a variety of local and national charities, and is a major contributor to the Creative Writing Program (MFA) at the University of Notre Dame, where he provides scholarships, internships, and a fellowship annually. This is one book that I never wanted to end; from the beginning to the end it was great. The story is based on a romance lasting over 60 years, and another just beginning. You will wonder what they in connection, although I thoroughly enjoyed Ira and Ruth’s long relationship, all of its twists and turns and great passion. When the story begins with Ira in a precarious position, he lost control of his car and has gone through the guide rail and hanging down a hill. The weather is horrible and he is badly injured, but with his life hanging by a thread, his beloved Ruth spends time with him. It appears he is delusional, but oh how wonderful the story is as they spend time with each other. Another young couple has a chance meeting at a rodeo. Luke is a bull rider, and Sophia is a senior at Wake Forest. 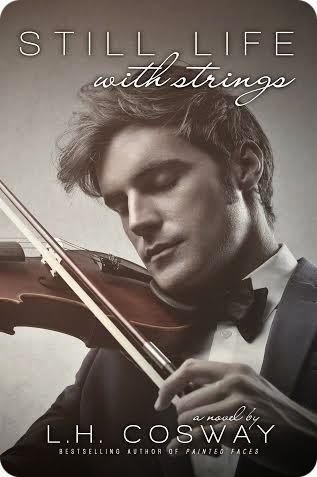 To make a long story short, Luke becomes Sophia’s knight in shinning armor when he comes to her rescue as her former boyfriend is accosting her. You wonder what a rodeo feller and an art major will have in common, and how possibly can the two stories have any thing to do with each other. As the story unfolds, will be amazed, and love how these stories do finally meld together. One starts back prior to WWII and the lasting results that the war has on their relationship. How I loved being in that car with Ira and Ruth, here she has passed on, but she is scolding him. So sweet! He shares with us his mind pictures of Ruth throughout their lives, down to what she was wearing on that particular day. Coming off her break up Sophia is not ready for a new relationship, but meeting Luke seems to have changed that. Can it be real, or a rebound romance? While I love the spark between them, I kept waiting for something to happen to Luke. This book is a real page-turner, you will not be able to put it down until you are done and know the answers to a lot of questions. I received this book through Readers Favorite, and was not required to give a positive review. 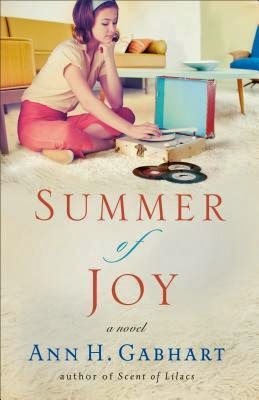 Phoebe Christner is thrilled when the families of her close-knit Amish community decide to spend a week at the lake. She feels she's earned a break...and it doesn't hurt that Michael Daugherty will be coming along. They'll find ways to spend time together--she's certain of it--and their romance will have time to blossom. 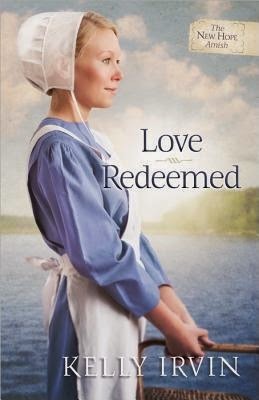 Kelly Irvin's latest book in the New Hope Amish series, Love Redeemed, releases in March 2013. 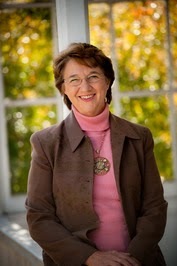 She is the author of the Bliss Creek Amish series and the New Amish Amish series. The first series includes To Love and To Cherish, A Heart Made New, and Love’s Journey Home, published by Harvest House. 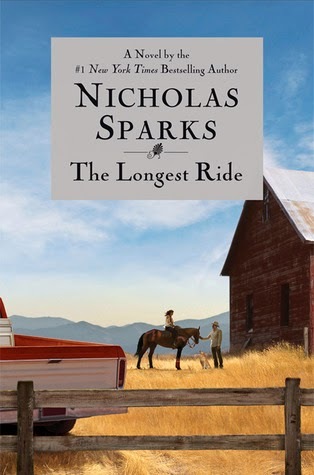 Love Still Stands, the first book in her spin-off series New Hope Amish, released in September 2013. 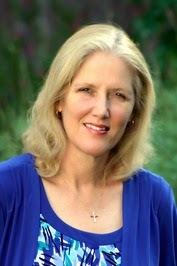 Kelly recently signed with Zondervan to publish a three-book series set in Bee County, Texas. The first book in the Lone Star series is set to release in 2015. 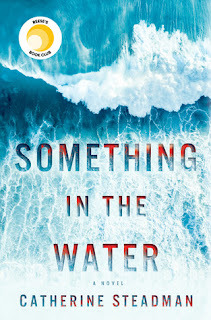 Kelly Irvin has written a compelling page-turner. It is so about forgiveness of one another, and oneself. How could a really happy family, go from one extreme to another in almost a fraction of a second? When tragedy hits a family, it can pull everyone together, or yank them forever apart. This what happens to the Christner family, and with their Amish background you hope that they will be able to heal. This tragedy though, touches other lives, and throughout the story, one point keeps rearing it head, forgive yourself. That seems to be the hardest of all, yes you can put the blame on someone else, and they all did, beside themselves. Also you see where it is hard not to hold a grudge against someone. What I found was that living your faith in God, really means exactly that. Not just a pick and choose, but all of It.! You are going to wonder if there will ever be peace in this family, or community again. If they are all going to be able to live there faith? Come and spend some quality time with the Amish of New Hope. 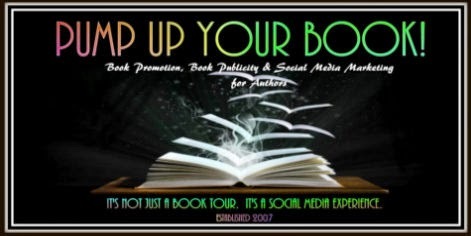 Pump Up Your Book is pleased to bring you Christopher Zoukis’ and Dr. Randall Radic’s Directory of Federal Prisons: PrisonLawBlog.com Federal Buereau of Prisons Facility Directory virtual book tour March 3 – May 30! Pump Up Your Book is pleased to bring you Andra Watkins’ To Live Forever: An Afterlife Journey of Meriwether Lewis virtual book tour March 3 – April 30! I’m Andra Watkins. I’m a native of Tennessee, but I’m lucky to call Charleston, South Carolina, home for 23 years. I so enjoyed me return visit to Hollyhill, KY, and the Brook family. In fact, I hated to leave! This is the summer of 1964, Vietnam War time, no cell phones, a quieter time, but hard time. David Brook is still running the newspaper, and being the Pastor at Mt. Pleasant. He is also hoping to have a new start in life and include Leigh. Things are still active at the Brook home, with Aunt Love, Jocie, David, Tabathia, and sweet little Stephen Lee. I can just picture this house; it is not large, but so filled with love. Makes you wonder how Dee-Dee could have left, even for the greener pastures. Life is funny at times, and now some of the things you think you have gotten past, and left behind, have started to return. There are some so hysterical things that happen you will have a hard time not laughing out loud. We still have loveable Wes, and his Jupiter life, what a blessing he has been in Jocie’s life. Zelda keeps everyone on their toes, and she ends up wanting to hide under her desk, but as Zelda does recover, she is back at managing everyone’s life, and sometimes it is good that she does. We are going to face some evil, or misguided people, in the form of a teacher, and some parents. Will this family be able to weather all of this and end up with life back to some kind of normalcy? Once you open the cover, you will not want to leave. Enjoy! I received this book through the Publisher Revell and their Blogger Tour, and was not required to give a positive review.